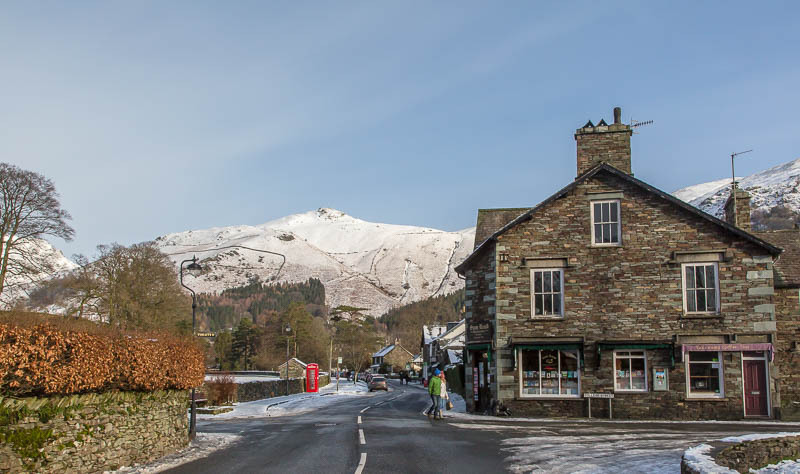 January 2016 - Grasmere village. Looking north east along Broadgate with Stone Arthur on the skyline. 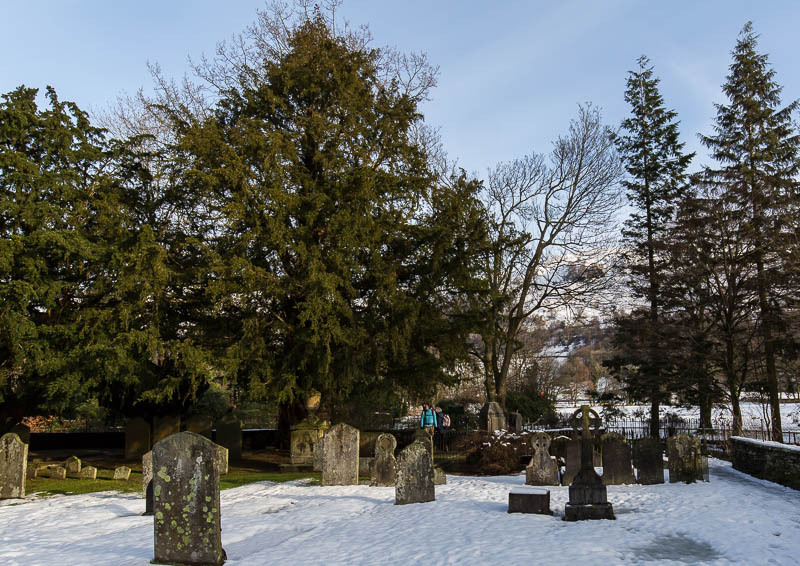 January 2016 - St Oswald’s churchyard. 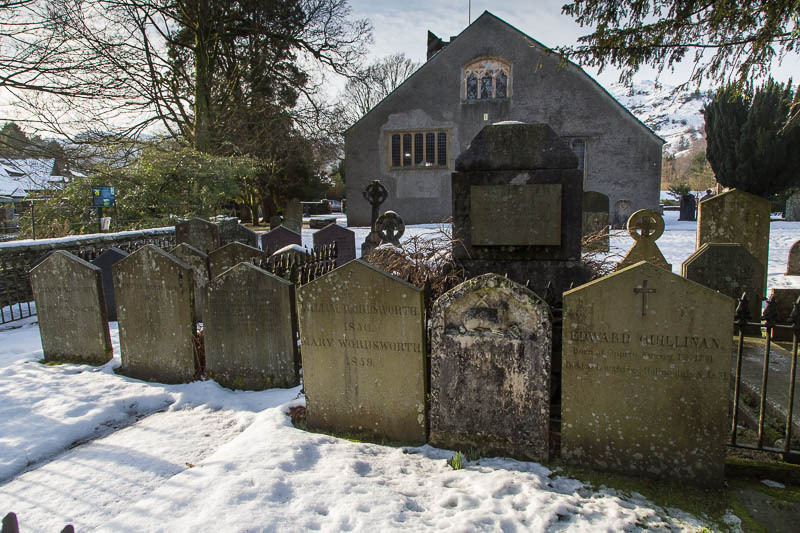 January 2016 - The grave of William (1850) and Mary (1859) Wordsworth. 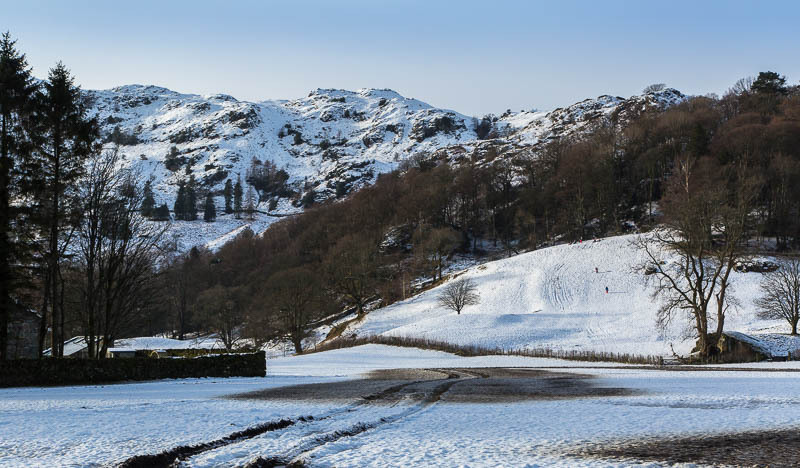 January 2016 - Some sledging on the slopes. Silver Howe on the skyline.